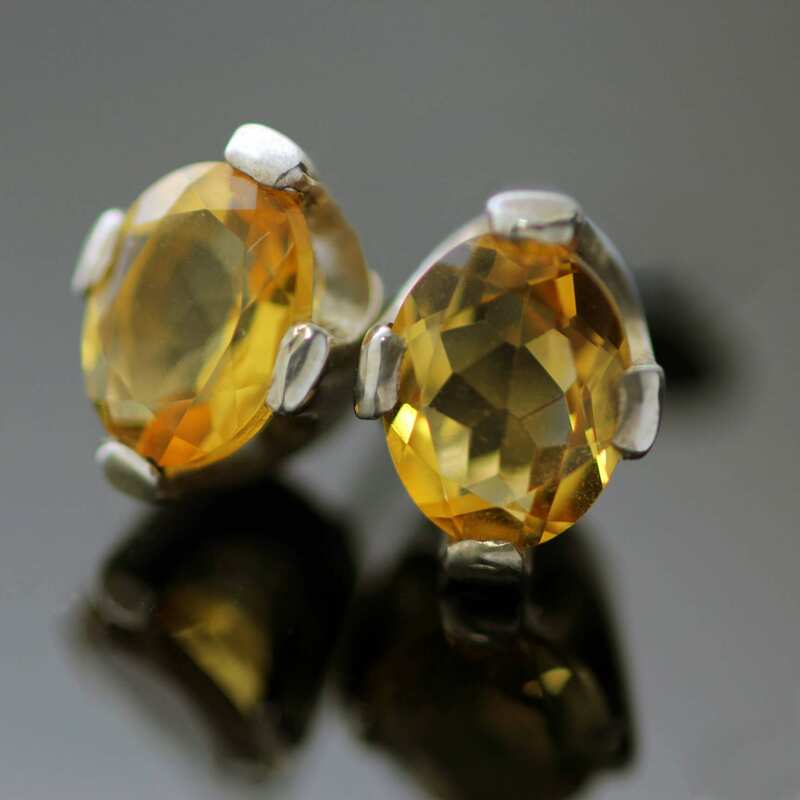 This beautiful modern gemstone earring design showcases a stunning pair of matching Oval cut Citrine gemstones in a vibrant yellow orange sunrise hue, expertly crafted by Julian Stephens to create an elegant pair of vibrant modern stud earrings. 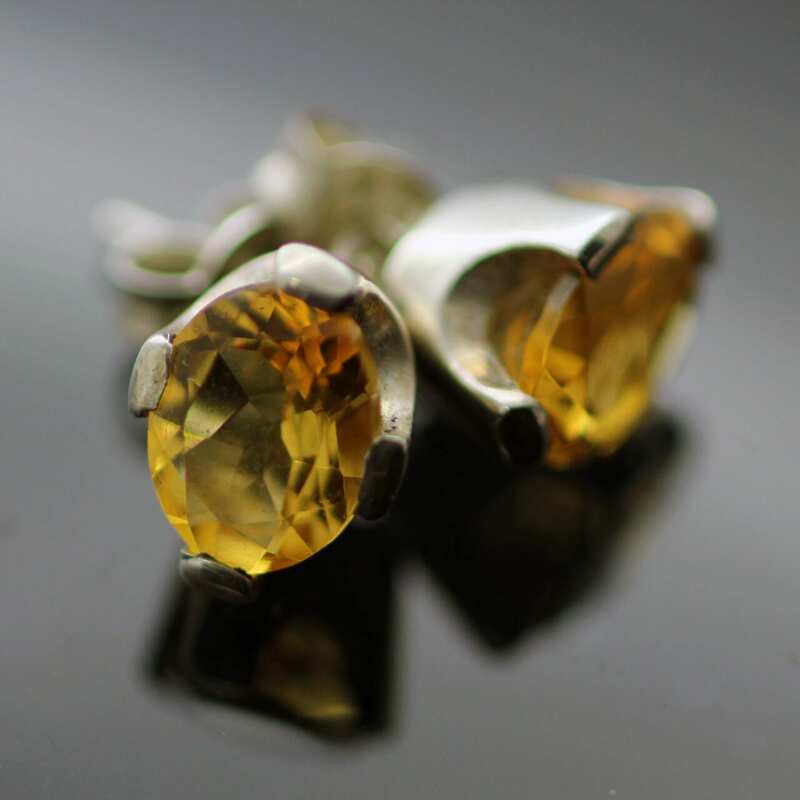 The pair of Oval cut Citrine gemstones offer a beautiful example of this bold and vibrant gemstone. 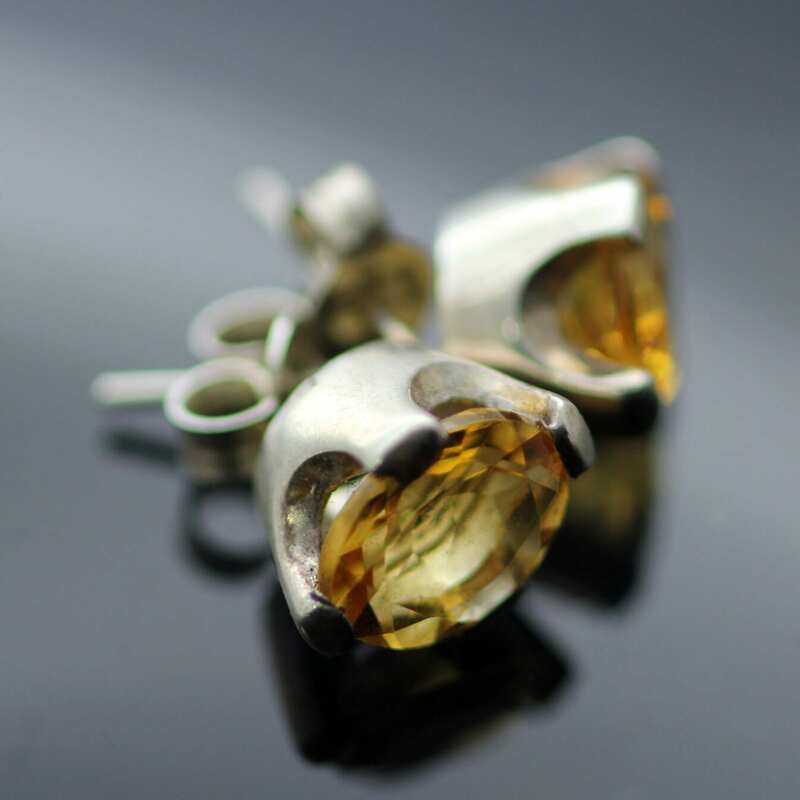 The Citrine is often referred to as the contemporary Birthstone for the month of November and these examples bring a ray of sunshine to this wintery month, the colours present in this matching pair echo a warm and vibrant sunrise packed with rich buttery yellow and warm orange tones. 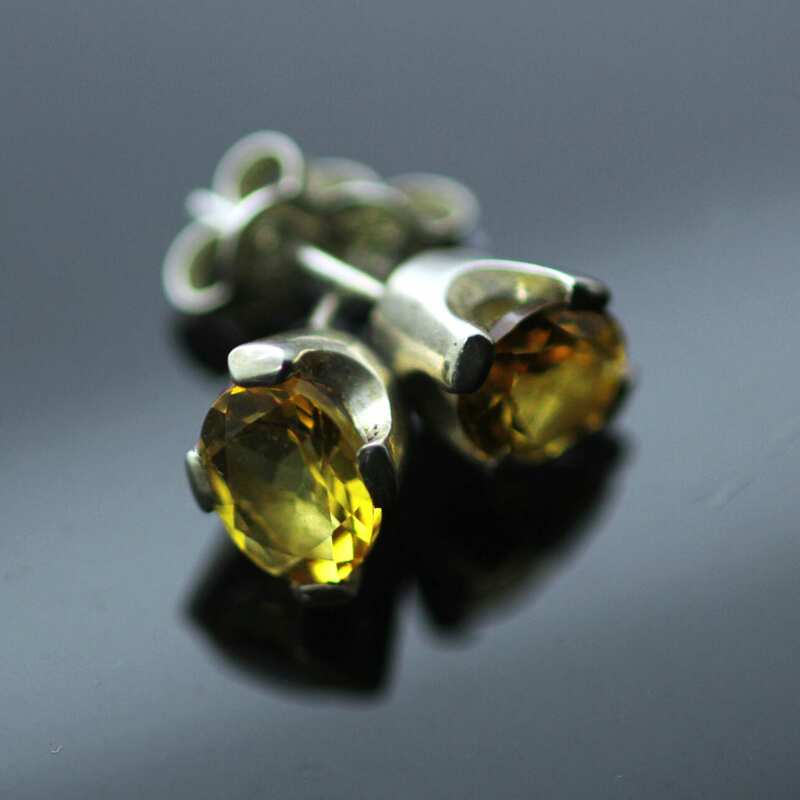 These beautiful gemstones are set in a solid Sterling Silver sleek modern setting to create the stud earrings, the setting is inspired by Julian Stephens ‘Flower’ Collection which takes inspiration from nature to create a contemporary and minimal claw setting. The beautiful Silver is hand finished with a high shine polish to the for a glossy finish to the design and the earrings are finished with solid Sterling Silver posts and butterfly backs for pierced ears.